LAS VEGAS — Switch has licensed its patented hot-aisle containment and cooling technology known in the industry as the Switch T-SCIFs® and the Switch TSCs to Schneider Electric. Schneider has been one of Switch’s leading global suppliers of equipment for Switch MOD facilities for many years. These offerings include Switch’s patented tri-redundant power system, power distribution systems and Power PODs, central to the Switch WDMD® and Switch MOD® facility designs. Both parties view the license agreement as an opportunity to explore future strategic customer/vendor opportunities. Rob Roy began inventing Switch’s technology in 2006 and Switch has obtained regular patent allowances from the United States Patent and Trademark Office for Rob Roy’s innovative designs since that time. The license covers all issued patent claims for Switch’s 100% Hot Aisle Containment Chimney and Exterior Wall Penetrating Multi-Mode HVAC technology. Switch’s patents have historically been reserved exclusively for Switch’s customers, until Switch began its broader patent licensing program in 2016. Since then, Switch has begun licensing its technology to others, including to Berkshire Hathaway’s electric utility, NV Energy. 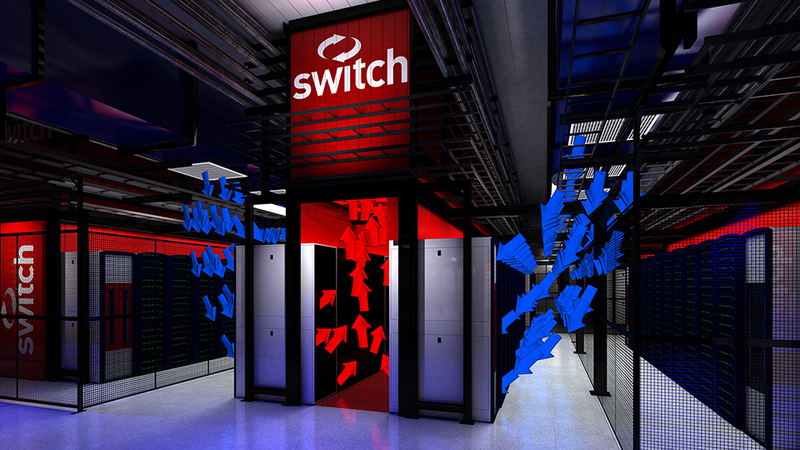 Switch believes the licensing of Switch’s technology by third parties further validates Rob Roy’s inventions and status as one of the world’s leading data center designers, with more than 350 issued and pending patent claims. Founded in 2000, this technology infrastructure ecosystem company, headquartered in Las Vegas, is built on the intelligent and sustainable growth of the internet. Switch founder and CEO Rob Roy has developed more than 350 issued and pending patent claims covering data center designs that have manifested into the company’s world-renowned data centers and technology solution ecosystems. Visit switch.com for more information.